A beautifully illustrated portrait of one complete year in nature, with a double-page spread dedicated to each month from January through to December. See how animals behave through the seasons, and the cycle of trees and plants, from the first blossoms of spring through to a stark winter wonderland. 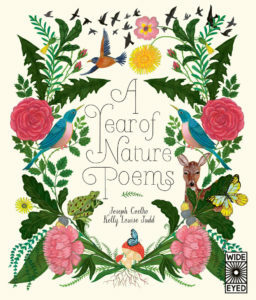 Twelve inspiring poems from Joseph Coelho, paired with folk art from Kelly Louise Judd give this book year-round appeal. A captivating series of sound-button board books which combines gorgeous illustrations with six high-quality, real-life sounds. 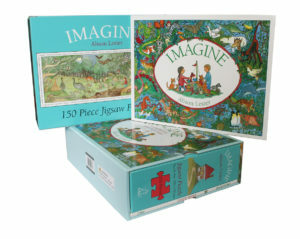 Adults and children alike will be enchanted by this stunning new addition to the popular ‘Listen to the . . .’ board book series. 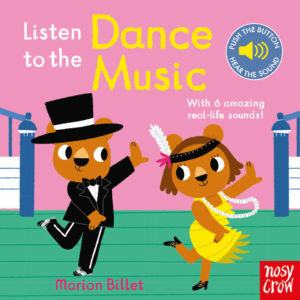 Aimed at the very young, this book has a button on every spread, which triggers one of six different types of dance music to join in with, from the Charleston to the salsa! Marion Billet has had around 80 children’s books published in 11 different countries. 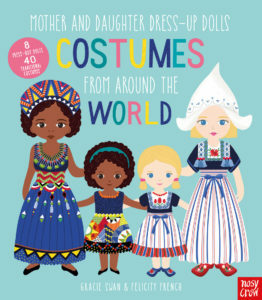 Press out the mother and daughter dolls, then pick which beautiful traditional costume to dress them in, using the easy fold-down tabs, before adding a hat or headdress and sticking on some accessories. From fabulous flamenco dresses to colourful kimonos, there are so many different costumes and cultures to explore. What if princesses didn’t always marry Prince Charming and live happily ever after? 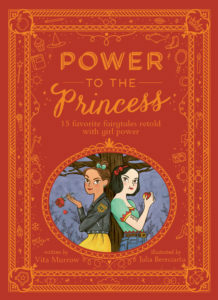 This stunning anthology of 15 favourite fairy tales have been retold for a new generation with princesses who are smart, funny and kind, and can do anything they set their minds to. 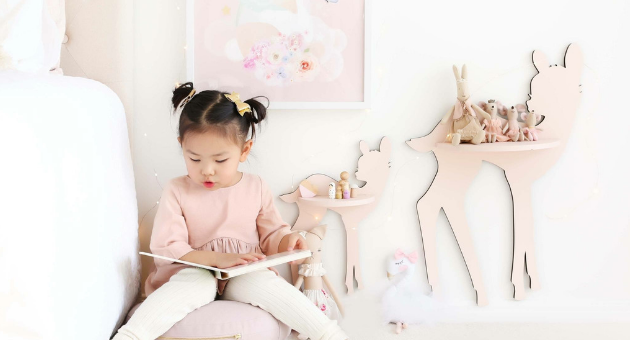 They teach that a princess is a person who seeks to help others, is open to learning new things, and looks for ways to add purpose to their lives and the lives of those around them. Power to the princess! Who did Cleopatra grow up with? Where did Gengis Khan’s fierce nature come from? And what was life like in the Kennedy household? Step into the lives of 25 famous faces from history, including Ned Kelly, and discover the intricate web of family that helped make them. 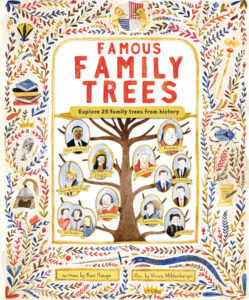 Loved and loathed, this introduction to history comes with 25 family trees for the whole family to explore. Your mind is like the sky. Sometimes it’s clear and blue, but sometimes a raincloud thought comes along and makes everything seem dark. So, what can we do about rainclouds? 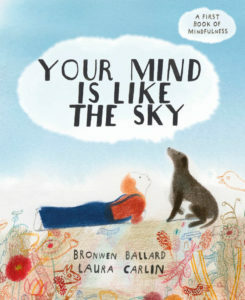 Bronwen Ballard is a child psychologist and this beautiful picture book shows children that worries and negative thoughts are normal and helps them develop healthy thinking habits. 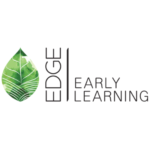 Tips on mindfulness and extra resources for parents are included at the back of the book.